One Direction are pretty damned huge at the moment. I know a ton of youngster's who tear up at the thought of them, collecting anything they release, purchasing every magazine they're in and downloading all of their songs. Was fandom as crazy as this back in the eighties and nineties? Well One Directioners are going to be super happy to hear about the new One Direction/MUA capsule collection collaboration, coming soon which has been called 'The Little Things'. The capsule collection consists of five lipsticks, five nail polishes, five lip polishes and three cheek tints (why they couldn't make another two confuses me also). Quality will be consistent with the MUA brand which I've always felt was pretty damned awesome. 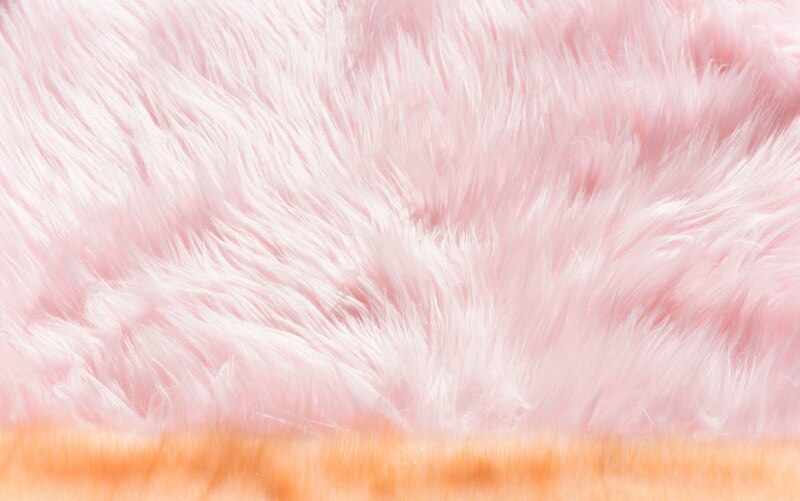 The Cheek tints remind me of Revlon's Baby Cheeks but with shimmer. 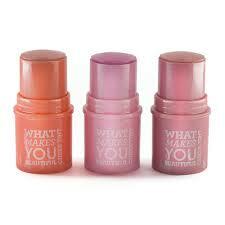 They shades are Coral Cutie, Pink Explosion and Rose riot. They have been made to suit all skin tones and can be built up, I just wished they had stuck to One Direction inspired product names to fit in with the collections tone better. From England with love, Kiss the boys and Directioner would have been my choices. 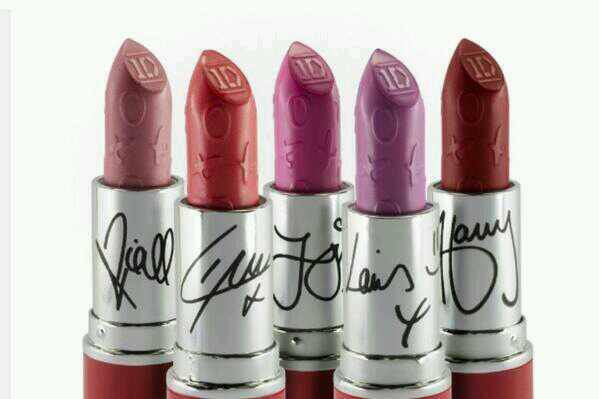 The 'Kiss You' lipsticks look pretty amazing don't they. I love the embossing (a la MAC & Rihanna-esque) on the product. Whether you're a One Direction fan or not I'm guessing you're going to find a shade you love. 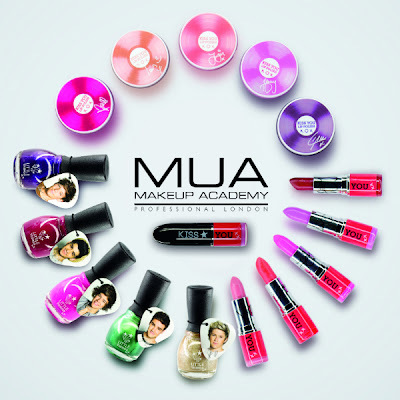 The shades are I want (bright pink), Rock me (lilac), I wish (bright coral), Moments (soft pink) and Be Mine (classic red). Again these aren't really called One Direction names, I'm betting if they had targeted a colour to a specific boy they would have had a major stampede. After all which Directioner doesn't want Harry or Zayn all over her/his lips? 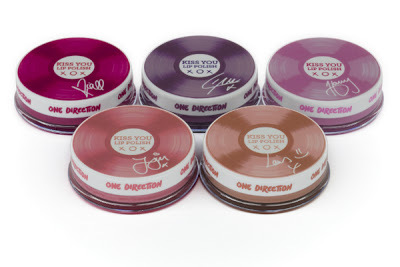 The lip polishes look amazing. Having previously purchased their Love hearts collaboration lip polishes I can promise you won't be disappointed, especially when you find out these babies only cost £2.50. These are the only products in the capsule that have got the names right (in my opinion).  The shades are Harry loves strawberry, Zayn loves watermelon, Louis loves vanilla, Niall loves cherry and Liam loves blueberry. I love the shape of these polishes in comparison to the standard MUA polish bottles. Each polish has been assigned a band member and I love the quirky guitar pic shaped images attached to them. I've yet to find out the names of the polishes. 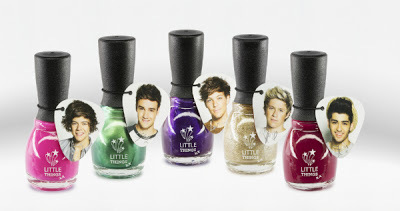 What I do know is that they are jewel toned with slight shimmer, Ideal for Directioners of all ages. The capsule collections due to be released after their perfume's launched. You should be able to purchase these items around September time which is fab for stocking up for Christmas (yes I said it). You can keep up to date with the Little Things collection over on the MUA Facebook page HERE and of course the MUA website and Superdrug's once they've been released.